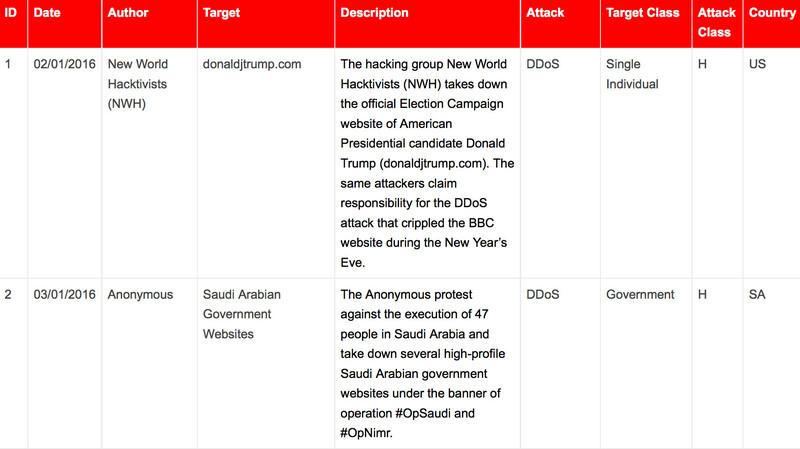 It’s time to publish the first timeline of 2016, covering the main cyber attacks between 1 and 15 January 2016. A new year begun under the sign of hacktivism, since the Anonymous and their affiliates have characterized this fortnight withseveral attacks (essentially DDoS ) against the governments of Thailand, Saudi Arabia, Nigeria, and also a primary automotive company like Nissan. Time Warner Cable, Linode, and (partially) Citrix characterized the cyber crime landscape. In particular the event that occurred to Citrix is still surrounded by mistery, since the alleged hack, denied by the company, was unveiled in October. Curiously there were no events driven by Cyber Espionage this month (so far).